For many people across the world, college is considered an important rite of passage in life. College gives you the education you need to become successful, or so it is believed. While going to college is an option, it is not entirely necessary that you have to go to college to become successful. There are many exceptions to the rule, who have become extremely successful in their fields despite dropping out of college. We’ve compiled a list of the top 20 business tycoons who have accumulated millions and billions without completing their college degree! Evan Williams, a computer programmer and Internet entrepreneur from America, had dropped out from his college studies at the University of Nebraska-Lincoln after a year and a half of starting his degree. Since then, his life has only gone uphill as he went on to found several Internet companies. His first success was being the co-founder of Odeo, a popular podcasting company. He then co-founded Twitter, one of the most popular Internet sites today, and remained the CEO and Chairman till 2010, post which he decided to focus on product strategy instead. 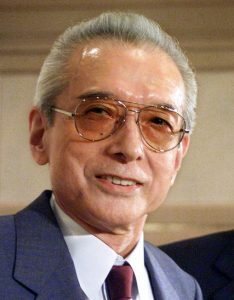 Born in Kyoto, Japan, Hiroshima Yamauchi dropped out of his Waseda University to become the president of Nintendo at the age of 20, a company that his grandfather had founded. He was not taken seriously by his employees due to his age and inexperience, but he proved himself by taking the company from a small card-making company into a huge multi-billion dollar video game company. He remained the president of Nintendo for over 53 years and was the largest shareholder of Nintendo at the time of his death. 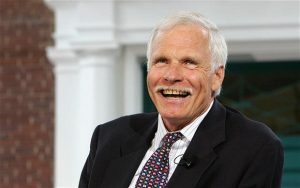 Ted Turner is an American businessman and the founder of Cable News Network (CNN). He went to Brown University to study Economics but was expelled. However, he was awarded an honorary B.A degree from the University when he gave a keynote speech. He also became the largest shareholder of AOL Inc in 2001. 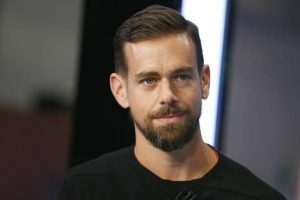 Known For- Twitter, Square Inc.
Another American entrepreneur, Jack Dorsey dropped out of New York University Tandon School of Engineering to pursue his dream of creating Twitter. He moved to California and created the prototype of Twitter. 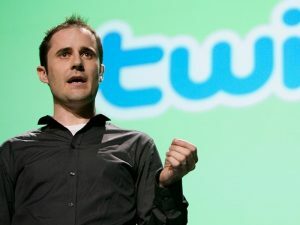 Today, Dorsey is the CEO of Twitter and a co-founder with Evan Williams. He also is the CEO of Square Inc, a small business platform which accepts debit and credit card payments. 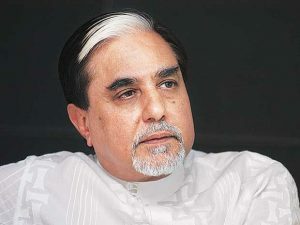 Subhash Chandra is an India media mogul who is famous for his TV channel network Zee Media. He is also the chairman of Essel Group. His education ended after the 10th grade, post which he joined the family business of becoming an agent who supplied rice to Food Corporation of India in 1970. He launched Zee Television in 1992, collaborating with Li Ka Shing. He also launched DNA, an English daily newspaper. Founder and CEO of the blood test company Theranos, Elizabeth Holmes is one of the most successful businesswomen who happens to be a college dropout. 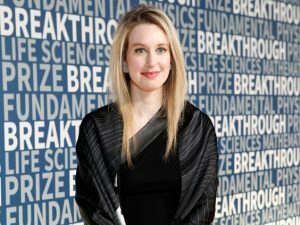 She dropped out of Stanford University after she founded Theranos. She came up with a finger stick device which obtains blood samples, instead of venipuncture, an idea she had since she had a fear of needles. Her company was valued at $9 billion by Forbes but has now been revised to $800 million post controversies over the technology. Holmes’ net worth also decreased to zero post selling her 50% stake in the company, but nevertheless, she continues to be an inspiration for women entrepreneurs all over the world. Walt Disney was the co-founder of the Walt Disney Company, is considered one of the pioneers of the American animation industry. He worked as a newspaper delivery boy during his school life, due to which he received poor grades in school. He dropped out at the age of 16 and developed an interest in animation. 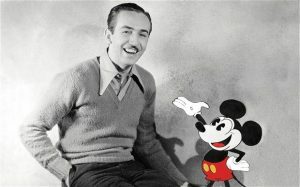 He co-founded the Disney Brothers Studio with his brother Roy in 1923, which is now known as the Walt Disney Company. 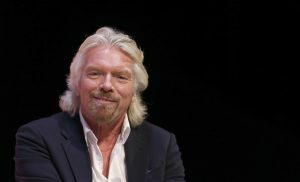 Richard Branson, a British entrepreneur, dropped out of studies at the age of 16. He was dyslexic and had a poor academic performance throughout school, but he dreamed of becoming a business tycoon. With the support of his parents, he started a record business and sold records while trading under the name ‘Virgin’. In 1972, he launched the record label Virgin Records and went on to launch Virgin Atlantic Airways in 1984, Virgin Mobile in 1999, and Virgin Blue in 2000. Virgin Group now owns over 400 companies. Ralph Lauren, an American Fashion Designer, is the pioneer of the Ralph Lauren Corporation clothing company. He dropped out of Brunch College after studying business for merely two years. He released his first Ralph Lauren collection for women in 1972 along with the Polo emblem on women’s suits. 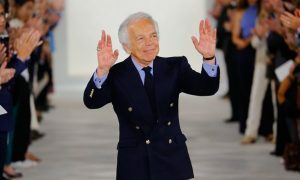 Ralph Lauren has now become one of the biggest brands in the fashion industry all over the world. 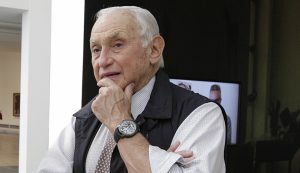 Les Wexner is the low-key billionaire owner of Victoria’s Secret and the founder of L Brands. He dropped out of law school to help his parents run their store and launched his own clothing company ‘The Limited’ in 1963. He has gone on to build a conglomerate of various retail markets, which includes Victoria’s Secret, Abercrombie & Fitch, La Senza, Bath & Body Works, and Express. 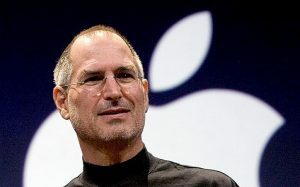 Steve Jobs, co-founder of Apple Inc, is one of the most popular business tycoons of the world. He dropped out of Reed College in 1972 and co-founded Apple in 1976. After being forced out of the company due to a power struggle, he developed Pixar Studios in 1986. He eventually became the CEO of Apple again in 1997. Apple, Inc is one of the largest technology companies in the world today. 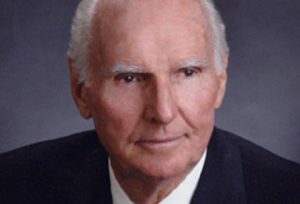 Jack Crawford Taylor is a college dropout who is the founder of Enterprise Rent-a-Car. He dropped out to join the Navy and later on worked with a Cadillac distributor as a sales manager. He launched his own company, the Executive Leasing Company in 1957 and began with only eight cars. When he was greeted with success, he renamed the company to Enterprise, after the famous USS Enterprise. 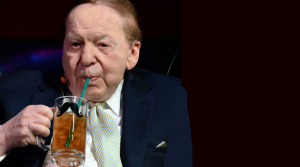 Sheldon Adelson is the 18th richest person in the world according to Forbes. He dropped out of City College of New York and is now the CEO of Las Vegas Sands Corporation, which includes Marina Bay Sands in Singapore and the Venetian Resort Hotel Casino and Sands Expo and Convention Center. He created over 50 businesses in the course of his business career. 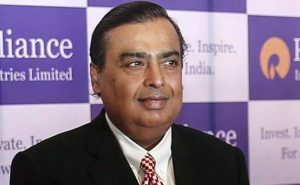 Mukesh Ambani is an Indian businessman who dropped out of Stanford University in 1979 to focus on his father’s business and is currently the Managing Director and Chairman of Reliance Industries. His company is listed on the Fortune 500 list, and Ambani himself was listed as the 9th richest man in the world by Forbes in 2011. 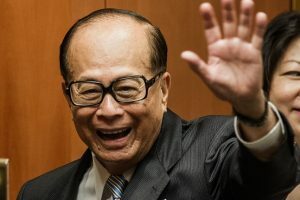 Li Ka-Shing is a Chinese entrepreneur who was named ‘Asia’s Most Powerful Man’ in 2001. He dropped out of school at the age of 15 and worked 16 hours a day in a plastics trading company. He launched his own company called Cheung Kong Industries in 1950, and currently owns businesses in almost every field such as telecommunications, electricity, real estate, retail, shipping, and the Internet. 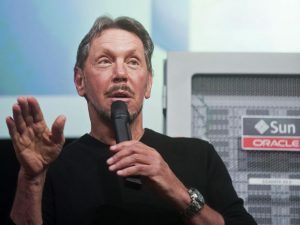 Larry Ellison is an American entrepreneur who dropped out of the University of Illinois after the death of his adoptive mother. He was brilliant at studies and was even named Science Student of the Year. He even dropped out of the University of Chicago later. He and his coworkers at Amdahl Corporation founded their own company, Software Development Labs, to develop a system for commercial applications. 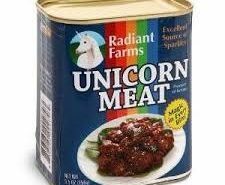 They later renamed it Oracle and Ellison is currently the CEO of the company. 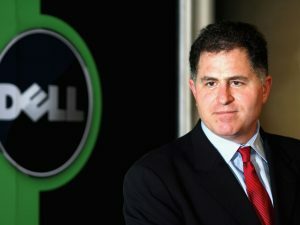 Michael Dell, one of the most popular American businessmen, dropped out of his college to build his business of selling upgrade kits for personal computers which he began from his dorm room at University of Texas. In 1992, Dell Computer Corporation ranked in Fortune Magazine’s list of top 500 corporations and Michael was the youngest CEO of a company on the list. Mark Zuckerberg, the chairman, co-founder, and chief executive of Facebook, is a famous example of becoming successful despite dropping out. 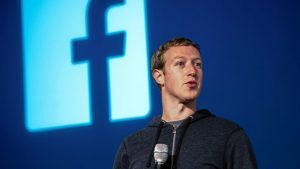 He and friends at Harvard University came up with the idea of Facebook and today, he is one of the 100 wealthiest people in the world and was also given the Person of the Year distinction in 2010. 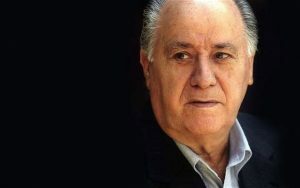 Amancio Ortega is a Spanish entrepreneur who is the founder of Inditex Fashion Group which owns Zara. He dropped out of school at the age of 14 to help his father and learned to make clothes by hand for a local shirtmaker. He opened the first Zara store in 1975 and is now the richest man in Spain. Nobody can talk about the success of some college dropouts without talking about Bill Gates. 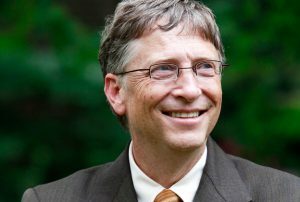 The co-founder of Microsoft dropped out of Harvard University to start a computer software company. He remained the CEO of Microsoft till 2000 and also held the position of the chairman and chief software architect within the company. Presently, he is the wealthiest person in the world. Success doesn’t depend on what college degree you have, it depends on the hard work you put in to achieve your goals. Set your ambitions high, and it doesn’t matter if you go to college and get a fancy degree from an Ivy League school. You can achieve all the success in the world with your hard work and determination.